Writer/Director, Robert Alaniz chose Heavens to Betsy for the title of the film because it was a phrase his mother, Doris Alaniz used to say a lot when he was growing up. 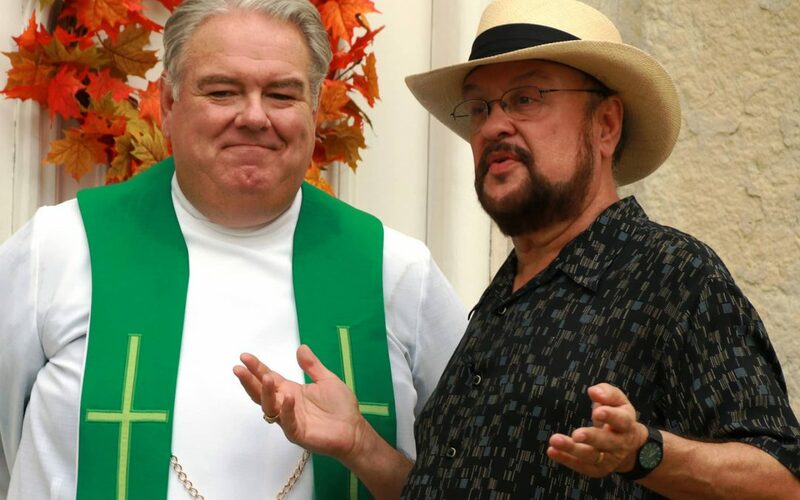 Actor, Jim O’Heir and Director, Robert Alaniz first met in 1983 when Robert was looking for an announcer for his cable TV show The Bronco Bob Comedy Show. Jim eventually became a featured regular on the show until he moved to Indiana. “Wishes” the cat in the film is portrayed by Robert’s own cat, “Missy”. In the film, it was the first time leading actress, Karen Lesiewicz had ever held a cat. Actors, Steve Parks and Jim O’Heir were also in Robert’s previous film Mind Over Mindy (2016). The films Heaven Can Wait (1978) and The Family Man (2000) were strong inspirations for the script of Heavens to Betsy.